Further to my Circular IR/116/19 25th March 2019, I write to advise branches that we have received correspondence from Network Rail and London Underground who are the client companies that contract Interserve to carry out cleaning and security. They have both confirmed that contingency plans are in place to ensure the continuity of service and the payment of wages should the company go bust. 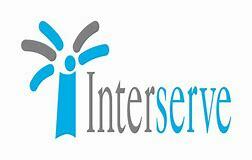 This will no doubt give some reassurance to members over the potential impact of any worsening of Interserve’s position. In addition Network Rail has explicitly stated that where it makes financial sense they would embrace the opportunity to bring the work back in house. The NEC has considered this issue and instructed me to prepare a submission document to Network Rail making the case. Branches will be kept fully informed of developments.